I love words! Words combined by skillful writers pile together in unexpected combinations that glow brilliantly and wake up the reader’s vision. They are like colors, the tools of art. Watercolors glide and puddle, merging in ways that surprise the artist and change the plot. Acrylics clump one glob upon another – lavender, orange, green – bringing life to a rock that seemed only gray before the artist delved its truth. Great writers do the same. I’m reading George Bernard Shaw. Or here, where John Singer Sargent painted her as Lady Macbeth. What a stunning performance that must have been! Words are being abandoned in cyberspace. Evolution of language is as natural as in everything else, but so is devolution is. Conversation is giving way to quick tweets and hasty email messages. I know this is not my original idea. You’ve thought it, too. In fact, it’s a cliché by now. But nevertheless, it’s true. When my children were young in the 70s, I wrote a letter each week to their grandparents who lived far away. I stamped and mailed these letters. My mother-in-law kept every one so now I have evidence of what my family life was like and can share it with my children, proving to them that their memories may not be entirely accurate – nor mine. Cyber notes will never be historical because they are lost as soon as we hit “archive” or “delete.” How many archived messages are ever retrieved? One of my future chores will be to glean the best of the thousands of emails written over the last 15 years. Meanwhile, I have re-edited chapters 1-38 or so of the new book. It’s really good, I’m happy to say! I never know when I go back to the early drafts how I will feel about it. It’s terrifying in a way, knowing that what I spent months on may turn out to be claptrap. But it didn’t! Reading it again, straightening it up, smoothing it out, trimming and curling here and there, I was excited by the story and worried about my two main characters as they head into some hard times. Now I must get back to it. Cheers! Two orphans, Amara (11), a servant, and Tadpole (8), a reluctant and hunted royal, escape and find their way through the Gallic countryside to Britannia. It’s a classic story, fun to write. So I wrote the whole thing, some 40 plus chapters, rewrote the first 12, sent it to Elaine the Reader, got it back, rewrote those chapters, then the next 12, and then stopped. That’s where I am now after several weeks (could it be six or more?) of realizing the kids got off too easily. Real children don’t have it easy. Last week, three of my grandchildren came to live with me while their parents took a work vacation. Children argue, fight, like each other, joke around, tease, and get hurt. They try out independence. 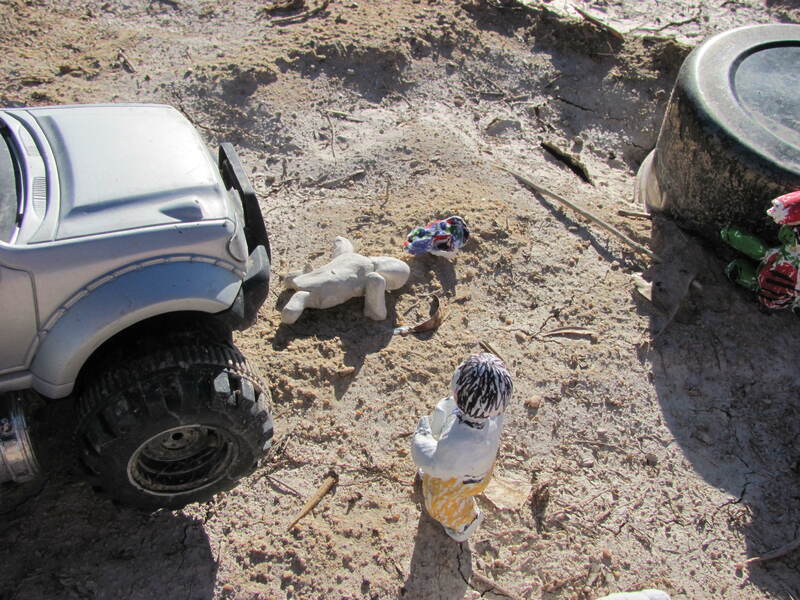 Jon (barely 9) reveled in riding his bike all around the far reaches of our desert acreage, forbidden territory until now for him. They cheat, too. Indoor hide-and-seek became a lesson in peeking, faking the count, changing hiding places, and helping the seeker when you weren’t supposed to. 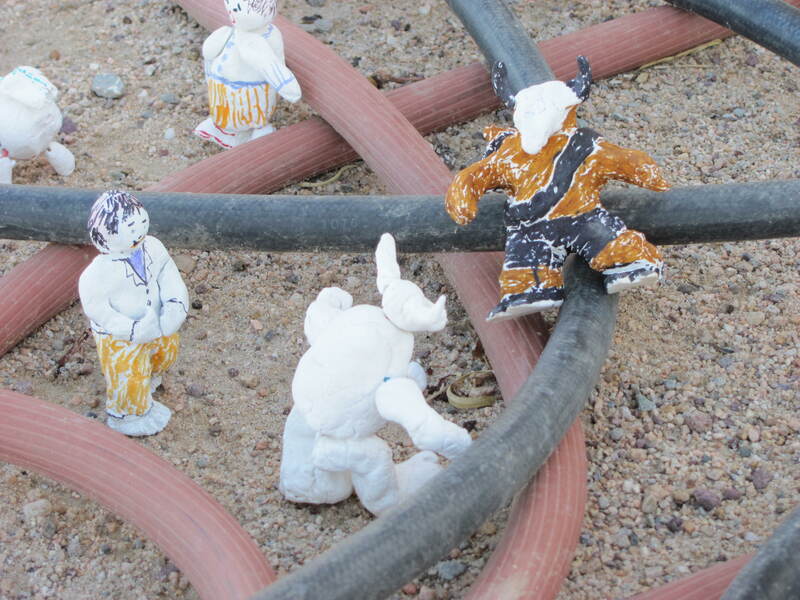 They also made characters out of plastic clay and we took pictures. 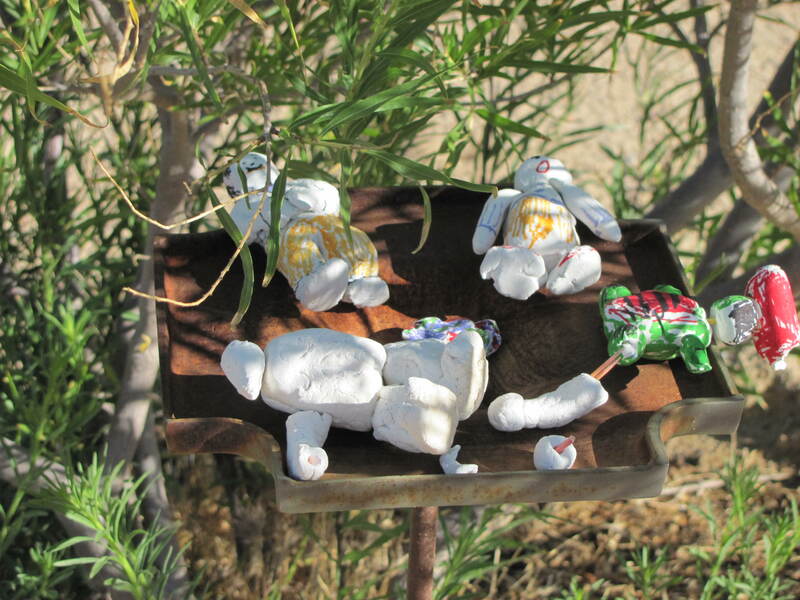 The children were not doubtful about the one that lost a leg and then an arm. 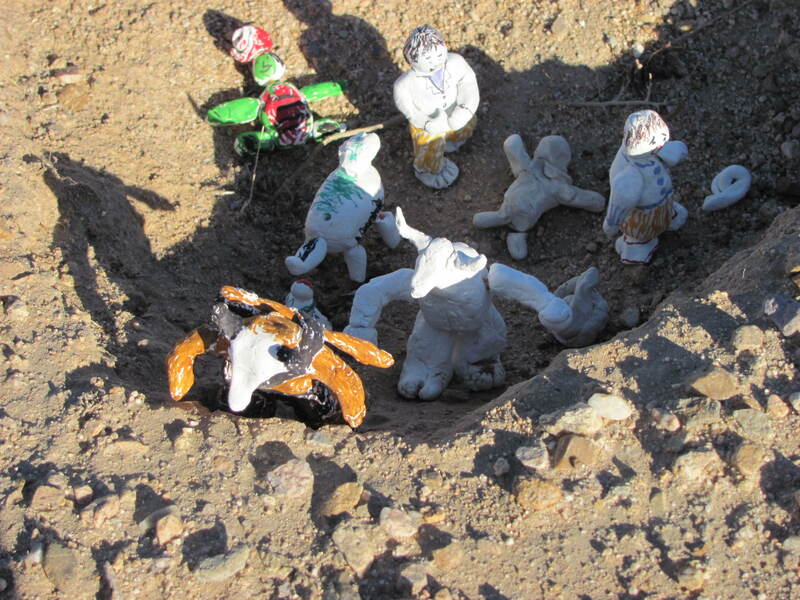 “He fell down the cliff!” “He got run over!” These little guys (aliens of some sort) had a rough time in the desert but finally found a place to rest. An author is the god of his/her world, decreeing choices and plot. If the characters are to have a chance of becoming real to the readers (and hopefully there are some), their lives have to follow a pattern that fits them. Often the author is surprised by their choices, but allows them their independence. If the plot and characters have been reasonably set up, then the surprises will strengthen the story and make it more believable. 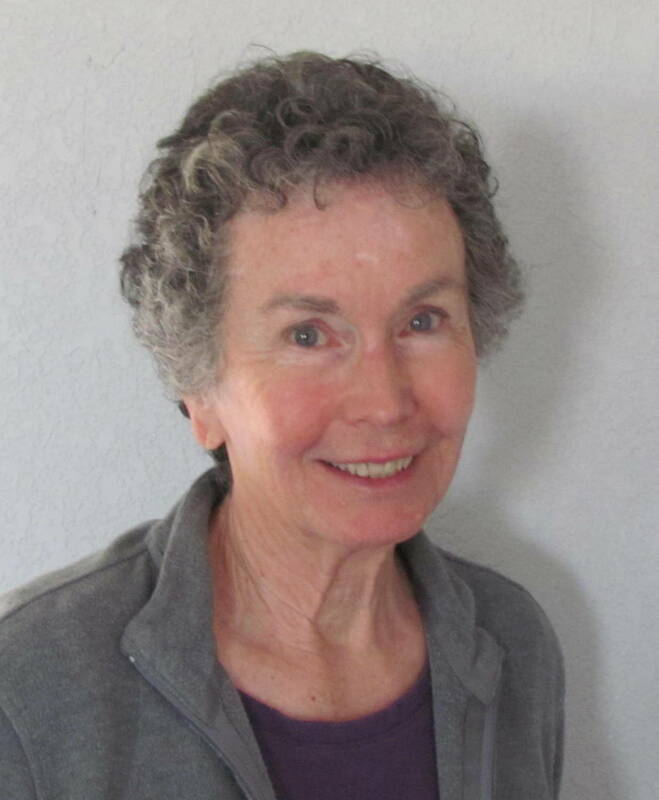 During the six weeks of not writing, I came to realize I’d let my two orphans off too easily. I’m a protective mother and grandmother. I love Amara and Tadpole. Why would I put them in real danger? What would they do out there in the woods if one of them was badly injured or sick? How could I do that to them? If they didn’t encounter real danger, there would be no reason to write about them, would there? Why read a fictional travelogue? To be meaningful and perhaps even memorable, they had to have conflict, work to resolve it, and emerge changed for the better. I’m ready for it. Just a couple of projects to finish up at home and then I’m back to four or more daily hours at the keyboard, drowning, eating wild poisonous berries, losing the boat, and being attacked by this and that. 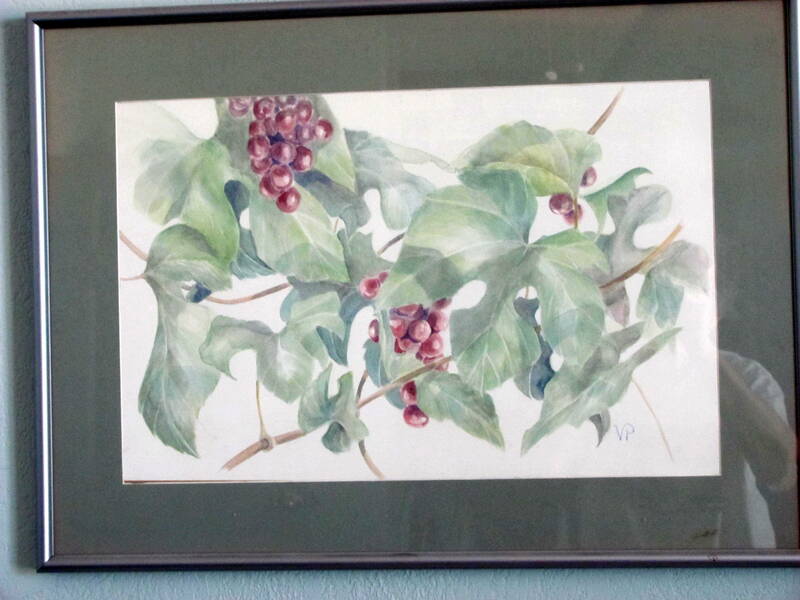 Years ago a friend served me fresh-frozen, thawed red grape juice from her wildish vineyard of Concord grapes. Up till then, I hadn’t even liked grape juice! My young grape vines produced beautifully this year, as did the older one. 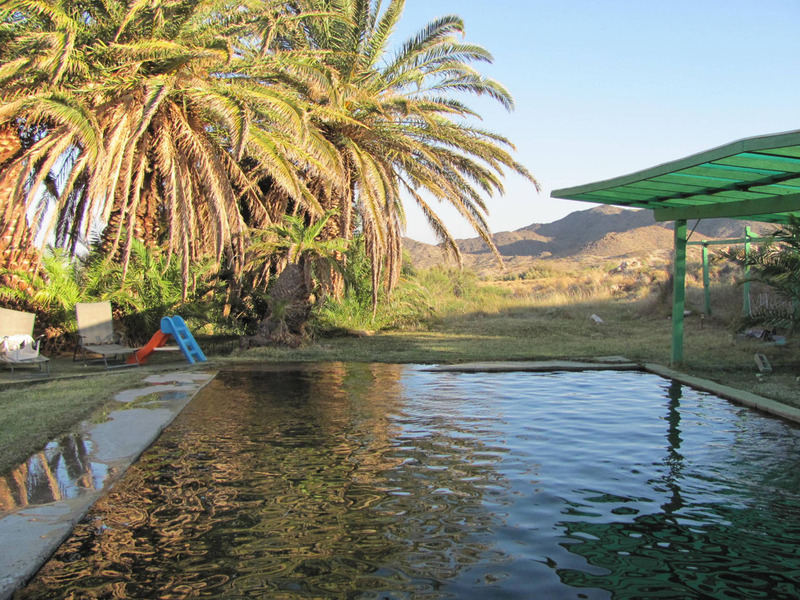 Last night while floating in remote hot springs [see pic], my friends and I nibbled grapes and discussed the qualities of various juicers on the market. I listened, they talked. 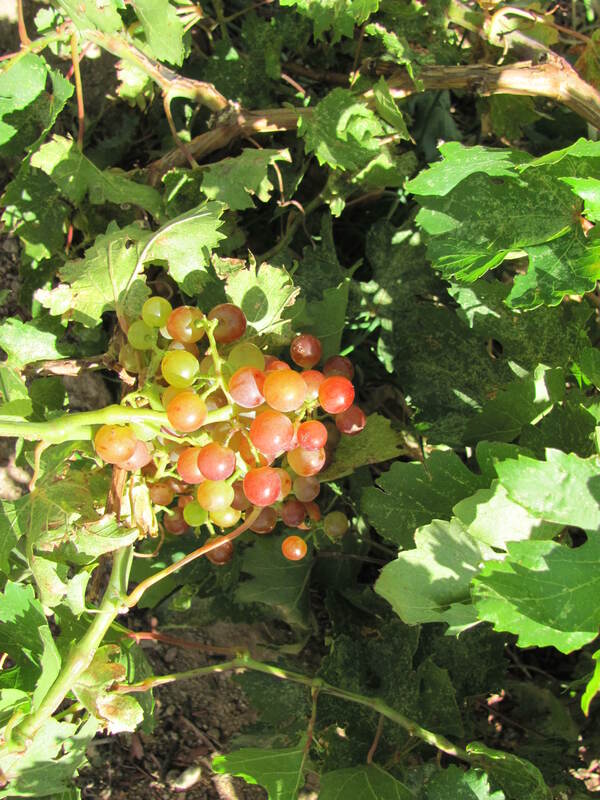 It was evident that the only way to get grape juice from the grapes we hadn’t eaten would be to purchase a $400-$500 juicer. That was last night. This morning, I had an “aha” moment (embarrassing because it’s so obvious). My first mental picture was of Italians stomping on grapes. Perhaps the French stomp also, but it seems better suited to the hedonistic leanings of the descendants of ancient Rome. 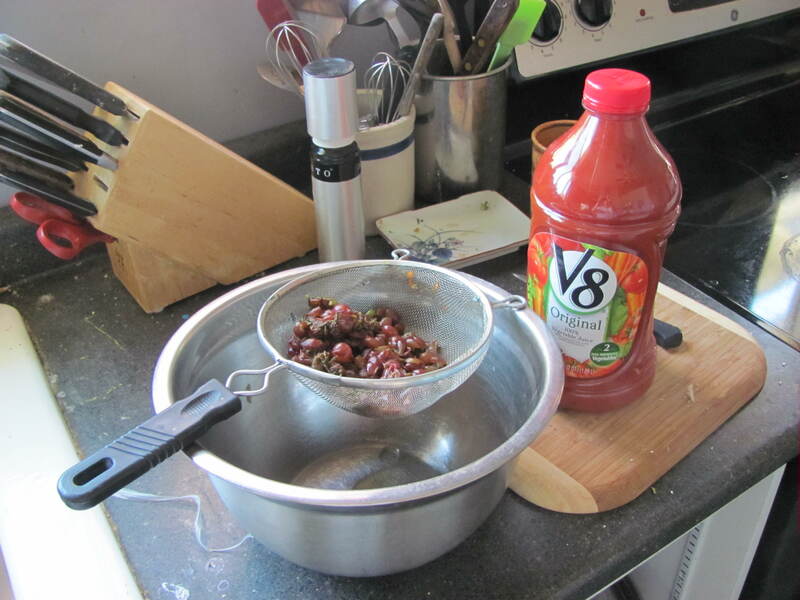 Rather than stomp my grapes, I put them in a bowl, took a full bottle of V8 juice for weight, and did a mini-stomp with a substitute foot. Then I dumped the mess into my regular strainer, nothing fancy. It dripped for a few minutes, enough for about a half glass full. Drank it. Fanfare, please! Souza march music! Beethoven’s 9th! Pooh and his honey pot! The fullness of flavor astonished me! There’s so much more to grape juice when it’s not filtered and cooked (though some done that way are good, like Newman’s Own Concord Juice). It’s how grapes have been done for eons! Why do we think we need processors? Wow! I feel good today! It’s already 9:27 a.m. and I must get on with the Amara (working title) rewrite! 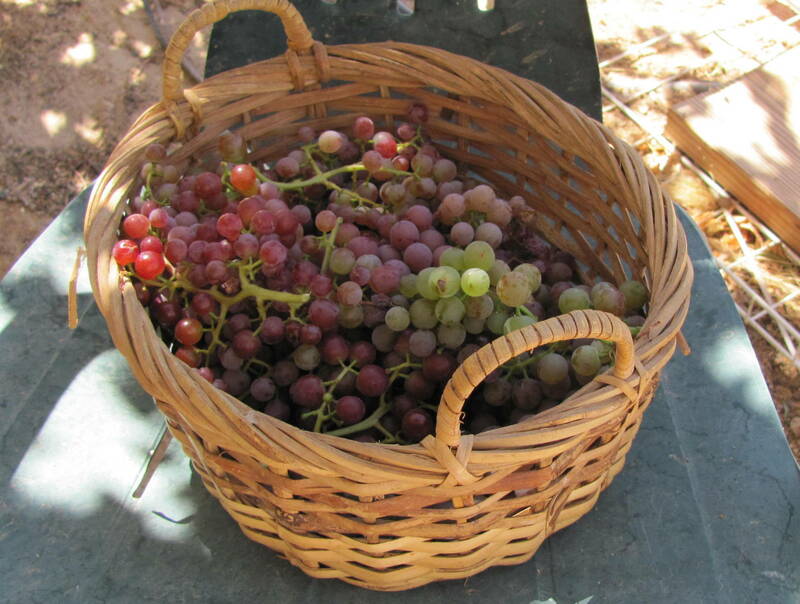 First, though, I’m going to pick some more grapes, take pix, and show you my equipment and the hot springs. Someone wanted to link to me so I went on Linked In. Found out I’d been a member since 2007. Didn’t like it then; don’t like it now. But since I have a book to promote, I tried to edit my profile and maybe get a hit or two. As it was, everything that showed belonged to the friend who wanted to link. Computers do the strangest things! A screen came up and I changed her to me, but when I went back to see my profile, she was still there. No, the picture was me, so why weren’t the words me? It was like an episode on Warehouse 13 where Alice comes out of the mirror and takes over what’s-her-name’s body. I spent too much time trying to solve this. Couldn’t even opt out, as in erase myself from LinkedIn’s memory, gracefully or not. If you link to me, you’ll see a myth. I’m not who it says I am, except for the picture. But if you want a good summer read, search for Victoria Paulsen on Amazon and buy The Amulet. Some book groups are considering picking it up for next year. Would I love that? You bet! I just got back from a week in Vancouver BC with middle daughter Alisa, Maya (6), and Sahana (1). Vivek was off on a business trip, so they wanted company. It was cloudy and drizzly, a comforting relief from the desert heat. Bad luck – I can’t upload the picture of rhododendrons. They were in their glory with enormous, pink to purple blossoms. The upload page choked on “crunching” five times for I don’t know how long because I stopped trying after ten minutes. Perhaps remembering the fun I had is why my brain malfunctioned on the flight to Seattle. I left the first 20 chapters of Amara (working title) in the seat pocket in front of me. I’d put the folder there for takeoff. It never came out. The flight was only a half hour, just enough time to chat with my seat partner about why so many travelers these days are grandmothers flying to our far-flung children. I’ve just confessed to working on a printed version, stark evidence that I don’t have a laptop. I’m not against it. But The Amulet’s first e-version had an embarrassing number of errors simply because it’s harder for me to catch mistakes on the monitor than on paper. It’s OK. Elaine, my “I’ll read the early version” volunteer, saved her comments and re-sent them to me. They are now tucked away in a safe file ready to be applied to version 1b, on screen or on paper. Because I had no manuscript and thus no work to do on the flight to Ontario CA (that’s California, not Canada), I took out a copy of The Amulet and started reading it. I hadn’t looked at it for weeks, so it felt fairly new. Here’s my opinion: It’s a good book, not a world-changing masterpiece, but entertaining enough to warrant the time spent. I hope that if you’ve read it and enjoyed it, you’ll pass the word along. I don’t always do that with books I’ve liked, but those authors have a wider audience than I have. Text message alert! Maya just found a four-leaf clover right next to a dime! That’s got to mean a hundred times more good luck than finding a penny! Maybe she’ll send some of that luck grandma’s way. Or not. I was lucky enough just to be able to see her again. The Amulet, in both paperback and e-book, is officially for sale on Amazon now, with mistakes corrected and looking good. As for those who already bought the e-version, Amazon is deciding whether or not you can get a free “upgrade.” Why they don’t automatically upload the new version is beyond me. If you have read it and liked it enough to recommend it to a friend, that would be great. If you didn’t like it, wait for the next one which isn’t a sequel but a parallel story. 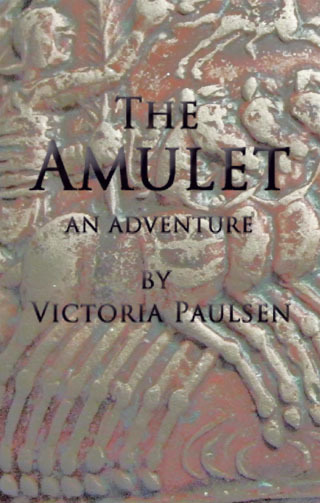 To find The Amulet, go to Amazon and search for Victoria Paulsen. Thanks, everyone, for your support and patience!